Hey APJ Family, Happy Tuesday! the aubergine. Turns out they freaking deep fried it twice. THAT´S WHY! Hahahaha. The next day, after two cups of English tea and countless visits to various loos along the way, we finally made it to the Frederic Malle store. I was very pleased to see a handsome, well put together young male SA, Pawel. Sadly for me he has an Italian boyfriend. Should have known! We got to smell and spritz perfume all over our bodies. I couldn´t chose so just went with Carnal Flower, Dries Van Noten, Eau de Magnolia, and Malle`s newest, Superstitious. Of course when I had no more skin space I discovered Lipstick Rose. OH MY GOOOSH. So good. So soft. So me. Pawel was nice enough to give me a 3.5ml sample bottle to try it properly. Tara, Mummy and I were ready to kill with our sillage as we left for our pre-booked tour of Highgate Cemetery. We ended the day in Camden Market eating street food and chips. Early evening we got to meet up with The Candy Perfume Boy and his lovely husband, on the bank of the Thames outside the Tate Modern. Even though I am 22 and my Mother occasionally drives me nuts (mostly because I seem to be turning into her) we had the best time in London. And I was so happy to see Tara again, she is one of the strongest women I know, and I so look up to her and what she has achieved. How great it is to find such friends and peace and joy in perfume. What are your FM favourites? 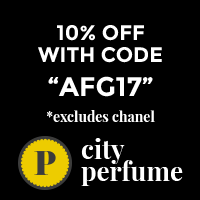 DO you like perfume to be private or do you like letting people know? Oh, I did enjoy reading about the trip from someone who knows Val as Mummy. 😉 Great photo record too – you all have such magnificently chic casual style. The street food sounds just up my alley, hehe, ditto the Malle sniffing in particular. I must retry Lipstick Rose, as it has been a while. To answer your question, I am a shocking foister and evangelist where perfume and ‘civilians’ are concerned, to annexe Tara’s marvellous term. And yes, I was gutted not to be up to the trip. Another time…! We hope to see you next time we are there. What a wonderful break away and SO jealous that you got to catch up with everyone. Hannah, you write so well. I loved it. It was such a nice trip 😊 Wish you would have been there. Next time’!! Thanks. 😍😘 lot of love. Yes, brilliant, humour-filled writing, Blondeswunder. Not easy in your first language, let alone your second. What a multi-talented star you are. Thank-you for your lovely words. It was good for my soul to spend time with you and your wonderful mum. I did not. I have my 10 mls and that’s hood for now. Very divisive huh? Love or hate. I think it will be up on A Bottled Rose tomorrow ….. For the record I spent most of the time drowned in Dries. Fabulous. Bussis. It is really really good. The SA said that it had coconut oil in it to make your hair shine. I know how proud and happy your Mum must feel when traveling with you, Blondeswunder. My daughter is also 22 and next weekend we’re going on a short trip to Oslo and I really can’t wait. We usually have so much fun together. My favourite Frederic Malle perfumes are Noir Epices, Dans Tes Bras and Le Parfum de Therese. I haven’t tried Superstitious but I have high hopes for it. I hope you have an amazing time. Thanks for enjoying and reading my blog post. Hm…gotta try those out. The names don’t sound familiar. It wears off on me! But i do really like it. My boyfriend says it smells like soap hahaha but i don’t care. What a fun trip 🙂 Loved reading about it! Just starting to get to know the Malle’s myself and so far am a fan of Musc Ravageur and Parfum de Thérèse. Duuuh thank you for reading. I really loved writing it.